It's official: Former Washington state Sen. Majority Leader Lisa Brown is running for Congress. At long last, Lisa Brown, former Washington state Senate Majority Leader and chancellor of WSU Spokane, has entered the 5th Congressional District race against seven-term Rep. Cathy McMorris Rodgers. At least, she's now entered the race officially. For nine months, local political observers have been assuming that Brown would run. When four candidates looked poised to compete for McMorris Rodgers' seat last December, when it looked like McMorris Rodgers might be then-President-elect Trump's choice to head the U.S. Department of the Interior, Brown's name was often floated as a fifth possibility. City Council President Ben Stuckart says he spoke with Brown about her intention back in December, as he had thrown his name into the hat to compete for McMorris Rodgers' seat eagerly and immediately. "I talked to her about it," Stuckart says. "She was seriously considering it." But Brown didn't announce then. She was similarly circumspect in May, when she suddenly announced she was stepping down as WSU Spokane chancellor. “I would say that running for Congress is a possibility, but that’s a decision I’m going to make after I complete my service at WSU,” Brown told the Inlander in May, when asked if she would pursue the seat. When Stuckart dropped out of the race against McMorris Rodgers in June due to family health issues, he says he met with Brown and talked about whether she was going to run. "Certainly, people reached out to me during that period of time," Brown says. Her decision not to announce in June could have cost Brown campaign funds. After Stuckart withdrew from the race, he says he gave $2,000 each to City Council candidates Breean Beggs, Candace Mumm and Kate Burke, $5,000 to the Spokane County Democrats, $5,000 to Fuse Washington, and the rest to a national congressional PAC to elect Democrats. He couldn't give any of that money to Brown. "My campaign had to be closed out in 60 days," Stuckart says. "The 60 days made it impossible for me to donate it directly." But Brown says she had a timeline that she was committed to. "It was always my timeline to work on getting the WSU medical school open," Brown says. "That was my commitment to WSU. In that sense, that was always the case." The medical school represents Brown's signature achievement. It required overturning a 100-year-old law, getting past University of Washington opposition, and working with Democrats like Washington state Rep. Marcus Riccelli and Republicans like state Sen. Michael Baumgartner. "The opening of the medical school is a big deal. We were preparing the campus for the 60 new medical school students, establishing new amenities on the campus," Brown says. "So that was my priority." On Aug. 18, the WSU medical school held the first white coat ceremony for its inaugural class. But Brown still wasn't quite ready to talk. Last Tuesday, when the Inlander requested an interview with Brown regarding the arrival of WSU’s medical students and her plans after leaving the school, Brown declined through a WSU spokeswoman, who said that Brown wasn't ready to announce when she was leaving. Brown also says there was another reason for the wait. "I did want to take some time to get into communities around the district and have some conservations with people and hear what was on their minds," Brown says. "I did a meet-and-greet in Walla Walla, Republic, Chewelah, Spokane Valley and Cheney, to get a sense of people’s concerns about what’s going on in Congress right now." People might have talked differently to her as a politician, she says. "Running for office, you're often asking people, 'Can you support me? Can you endorse me? Can you contribute to my campaign?' My emphasis was on hearing what mattered," Brown says. "I think there’s a certain level of skepticism — a lot of politicians are caught up in the blame game." The wait, however, allowed independent candidate Eric Agnew to undercut his praise of Brown's record with some snark. "We have been awaiting this announcement, as she has been quietly campaigning, gathering support from big money donors and special interest groups for well over 6 months now. I am glad to see her campaign now become public,” Agnew wrote in a press release this morning. Stuckart, however, notes that there's a good reason for waiting. "I’d say there’s a disadvantage of announcing so soon, like I did," Stuckart says. "Things come up. Like personal stuff does tend to happen to our personal lives." He doesn't think that Brown hurt herself by delaying her announcement. "We’ve got plenty of time left for that election," Stuckart says. "She’s got really good name recognition. A record to run on as solid for any elected representative. She can point to the medical school that she led on. She got a record of collaborating." "I see young people running around in crimson and gray scrubs all across our city. I see a pedestrian bridge rising on the east side of town that will help connect and remake an entire neighborhood," he wrote. "I see my friends excited about life because a group of legislators in 2012 had the courage to say that the right to marry belongs to EVERYONE regardless of who they love. And I know that Lisa Brown has been instrumental in all of it." Brown becomes the fourth declared candidate in the 5th District, and the second Democrat: WSU alumnus Matthew Sutherland has been running for the seat since March. Brown was elected to the Washington state legislature in 1992, the same year that Patty Murray became the first woman elected by Washington voters to the United States Senate. In many ways, Brown models herself after Murray, a liberal Democrat with a reputation for finding compromise amid even the most intractable partisanship. "At the state level, I found that the way to strengthen the economy is to invest in people and infrastructure," Brown says. "We were often able to find common ground on legislation for the different parts of the state." When she was in office, she says, Democrats and Republicans and a variety of special interests managed to come together to pass complicated water-rights legislation. "That’s what we’re not seeing in Washington, D.C.," Brown says. "We’re not seeing that kind of 'find the common ground,' to move forward with something that is better than the status quo." In particular, she identifies health care as an area she'd like to focus on. "It’s still possible, unfortunately in this country, to develop a chronic condition and go bankrupt," Brown says. "A lot of concern about the stability of their health care systems." She notes that a rural hospital in Walla Walla recently closed. "We need to hear from a variety of people representing rural health care, as well as Spokane hospitals," Brown says. "This is really important for the 5th Congressional District. Health care is the biggest employing industry in Spokane." Asked if she supported moving to a single-payer health care system, she said she preferred to look at it in a different way. "I look at it in terms of 'universal access,'" Brown says. "That’s what we want to get to. We’ve got to not go backward." When the Inlander brought up questions about the individual mandate and whether auto-enrollment might be a more effective way of stabilizing the market, she said she wanted to study national legislation a little bit more before diving into the weeds. Brown's official kickoff event will take place at downtown Spokane's Washington Cracker Company Building on Sept. 19. 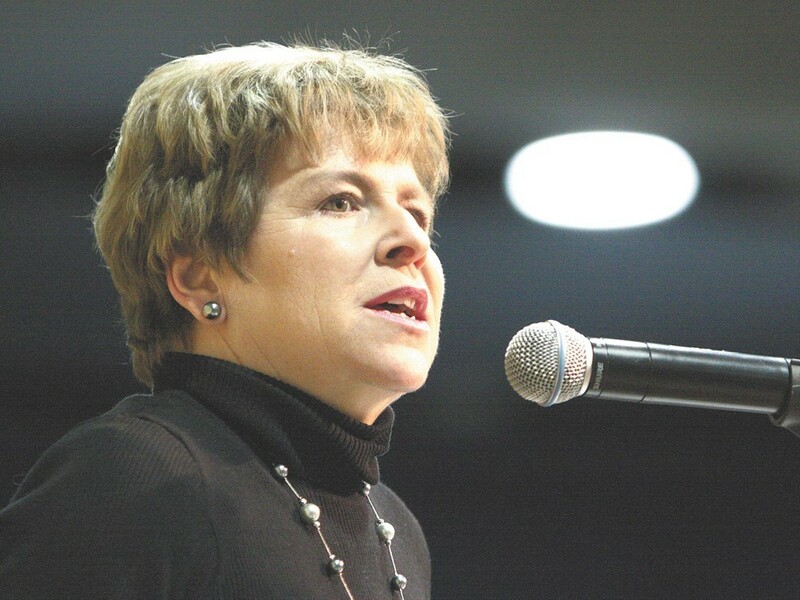 Lisa Brown has been a lifelong advocate for the people of Eastern Washington. A mother, an economist, and an educator, Lisa taught at Eastern Washington University and Gonzaga University. In the state legislature, Lisa championed job-creating legislation like the Strategic Economic Development Fund, the Motion Picture Competitiveness Fund, and countless infrastructure projects like the North Spokane Corridor and the Fox Theater.